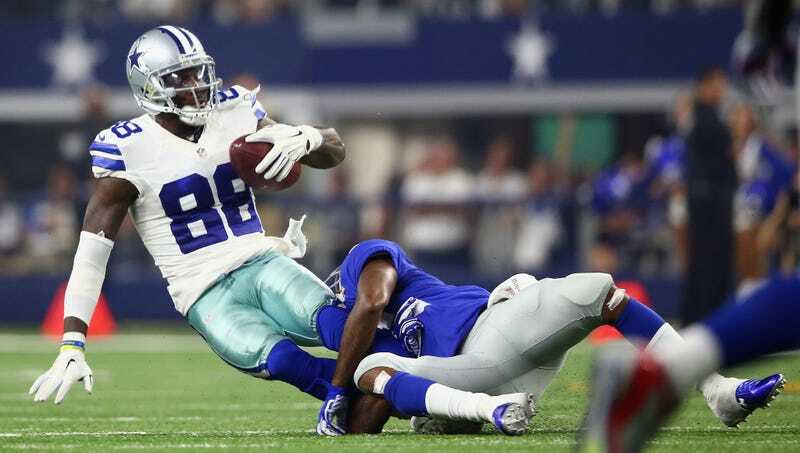 Cowboys wide receiver Dez Bryant is now likely to miss 10-12 weeks with a broken foot, rather than the four-to-six weeks he was originally supposed to miss, after he underwent bone graft surgery. NFL’s Ian Rapoport reports that the procedure was not part of the initial prognosis, and indicates a certain hesitancy about whether or not the foot could have healed on its own. One surgeon well-versed in the procedure explained a bone graft can be used to help the bone heal if there is a chronic component to the injury — if it’s an issue the player has had before. If this injury was a straight-forward “Jones fracture” it wouldn’t need a bone graft. Projecting forward, 10-12 weeks puts Dez’s prohibitive return right around the Cowboys’ Thanksgiving Day game against the Panthers.